Making the move has been a real team effort between the YJB and MOJ Digital. The YJB lost their in-house web editor early in the year, so we pitched in to offer insights, expertise and practical help. We built the new pages with YJB comms colleagues, who quickly learnt on the job. 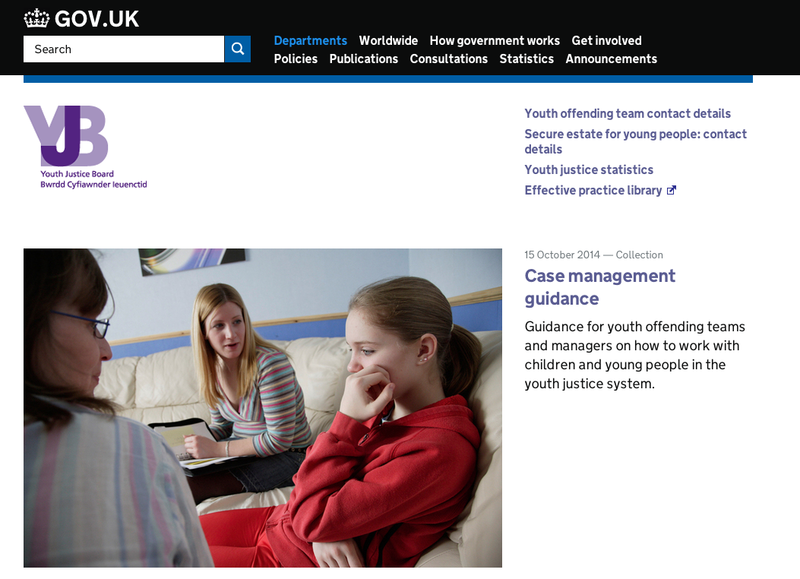 It seems to have worked – digital skills were enhanced all round and the youth justice sector now has a shiny new website. There was a vast amount of content on the Justice website – much of it used on a day-to-day basis by those who work with young people in trouble with the law. We number-crunched the web metrics and spoke to youth offending teams to make sure that the key documents were moved over – more than 100 publications – and wrote 20 new detailed guides. We'll be keeping a close eye on how the content performs, and the YJB will be getting feedback from staff and stakeholders on how it can fine-tune their new site. You can still get hold of any of the documents that weren't migrated on the National Archives website. For the time-being, we've left the large effective practice library (a collection of case studies and practice materials) on Justice. The YJB will deliver a new solution for this section in 2015. One of our other agencies, the Office of the Public Guardian, also went live on GOV.UK this week, and the Official Solicitor will follow suit soon. Now almost all of MOJ's organisations (including the Legal Aid Agency and National Offender Management Service) are on the site – no mean feat, especially given the complexity of their information. We're still rewriting guidance for HM Courts & Tribunals Service to get their content onto GOV.UK by the end of the year. As ever, we'd love to know what you think about the website changes, so please feel free to get in touch.